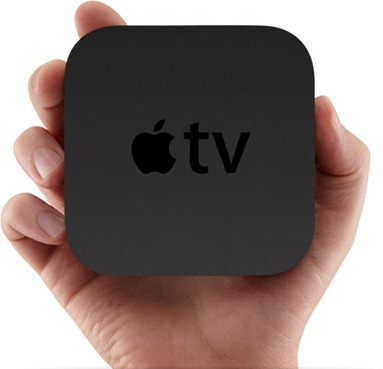 Apple TV – Cupertino-based Apple’s first delve into streaming-only television set-up box, has not made quite the noise of its iOS counterparts – namely the iPhone, iPad and iPod touch devices. Having been labeled as a ‘hobby’ pretty early on by CEO Tim Cook, it looks to have been sent out as an experimental device, allowing Apple to test the water before coming through with something really imaginative as opposed to what is – by the company’s impeccably high standards – a rather weak and underwhelming product. With the tablet and smartphone markets well and truly under control for now, the little black box has been getting far more attention, with updates aplenty during the course of the last couple of months. Only three weeks after version 4.4.2 ironed out a few of the audio and video bugs, a new update has been released into the wild. 4.4.3 brings support for Netflix users in Mexico and takes care of lingering audio issues still prevalent on some devices. There has been a lot of talk and speculation regarding Apple’s supposed plans to make connected TVs a genuine part of business. With Siri everywhere at the moment, it is strongly suspected that consumers will be soon acquainted with voice-recognition on an Apple-branded television set. Taking into consideration Siri’s very warm welcome just one month in, it would take a fool to bet against Apple commanding a healthy chunk of a market dominated by LG, Sony, and bitter rival Samsung. Pricing could be a major factor in its potential success or failure though, for although consumers are more than willing to pay high-end prices for Macs and iPhones, TV’s have a habit of depreciating significantly once technology becomes redundant. Apple isn’t famed for dropping prices, thus may find that the acclaimed marketing formula – that has served it well for so long – may not cut the mustard in relatively new surroundings. The current trend of releasing software updates at regular intervals (as demonstrated by Google, Mozilla et al), can only be a positive move in the consumer battle against bugs and glitches. Moreover, if there are big plans for connected TV, Cook and Co. will want to keep TV-loving punters sweet for the launch, which could be only 18 months away. 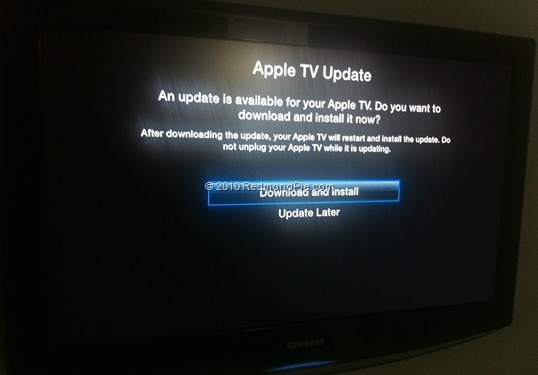 Download the Apple TV 4.4.3 firmware from this link and update manually via micro-USB cable, or alternatively, simply update it over-the-air by selecting the Update Software option from settings menu in Apple TV.